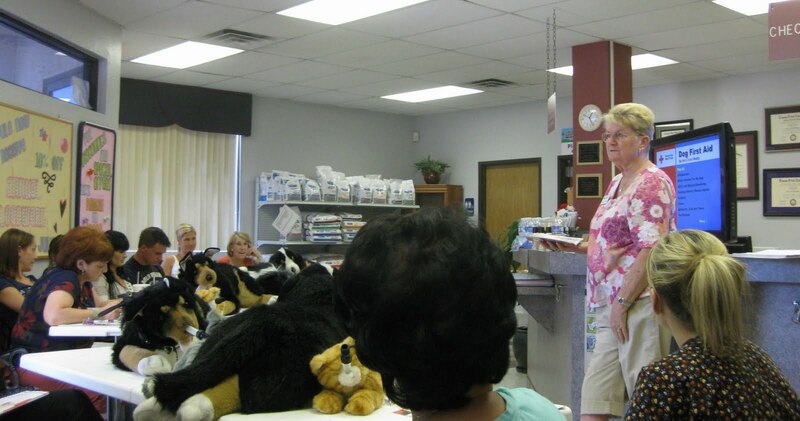 B & D's First Aid Class at Park Animal Hospital..being informed is the best prevention! At any time your dog could incur any type of wound or need emergency care. 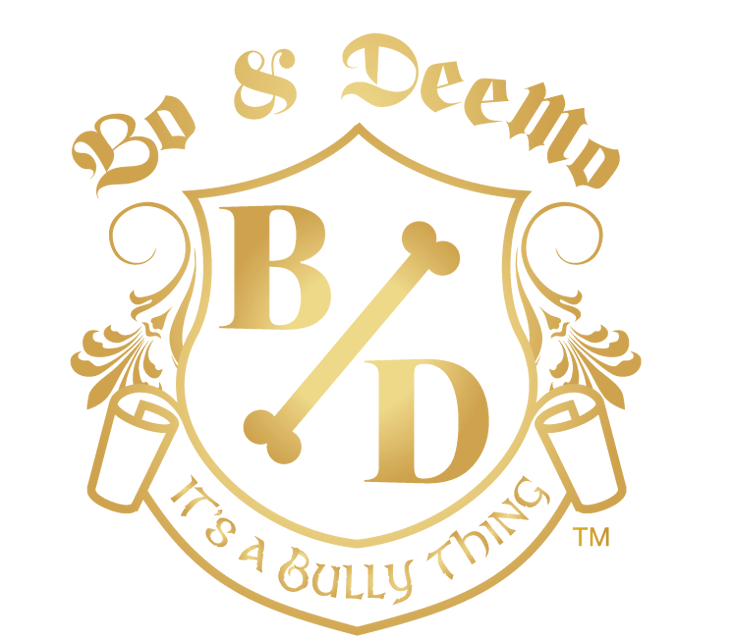 Bo & DeeMo understands this and wanted to make sure that their fans and bully parents, animal owners, pet industry workers, rescues workers and foster parents had the opportunity to learn First Aid for both canines and felines. On Sunday July 17 from 12:30pm - 4:30pm the second Bo & DeeMo first aid class was held at Park Animal Hospital. Bo & DeeMo’s Co-Owner Brandi was on hand to take the course and answered any questions regarding Bo & DeeMo. Many important topics were covered such as how to fashion an emergency muzzle from what you have handy. 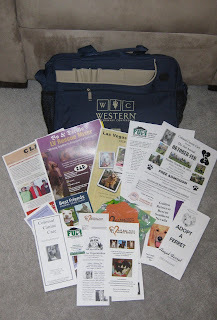 Plus traveling with your pet, good nutrition and of course mouth to muzzle CPR! 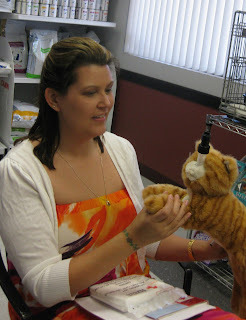 Students practiced on special first aid stuffed models. Jinny the American Red Cross First Aid instructor was informative and answered questions from the class, questions such as how to be prepared in case of emergency evacuations natural disasters, what should be in your first aid kit and more. For a total cost of $51 which went directly to the AMR students learned valuable life saving techniques. After the students completed the four hour course they earned a CPR certification. Park Animal Hospital located in Henderson at 8400 S. Eastern provided snacks and Chloe attended the class and gave a brief synopsis of the services provided by Park Animal Hospital. Not only did each attendee earn their CPR certification they also took home a Bo & DeeMo swag bag filled with useful and fun items. Keep up with Bo & DeeMo here on the blog or on the website – www.boanddeemo.com and for specials and information on Park Animal Hospital go to - www.parkanimalhosp.com. It’s summertime in Las Vegas! Which can only mean one thing, on some days the temperature is well over 100 degrees and for dogs that is not a healthy environment. 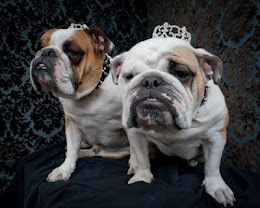 Bo & DeeMo decided to tackle some of the issues which affect all breeds. First on the calendar was the "Working Together to Empower the Community" luncheon which was held at one of Las Vegas’s newest favorites Born and Raised or BAR for short. We were very fortunate to work with BAR www.BornAndRaisedLV.com. Ali and Scott Godino Jr. were on board from the minute the two words “animal rescue” were mentioned. Chef Donald Hoffman’s offerings from the kitchen were out of this world! Rescues operate on shoestring budgets and what BAR put together for a total price of $10 per person was amazing. Rescues such as FUPI (Foreclosed Upon Pets, Inc., Best Friends, Adopt A Rescue Pet, Colossal Canine Care and more dined upon homemade pizza, wings, pinwheels and the Le Croque, ham and Swiss topped with a fabulous cheesy béchamel sauce. Attendees also enjoyed BAR’s Classic Angus Beef Sliders which had sautéed onions and American cheese. BAR believes in supporting the animal community and their patio is dog friendly. So when the weather cools down, bring your dog, hang out and enjoy. Cindy Godino spoke briefly and reiterated to the luncheon attendees. “We are so very happy that you are all here. Please feel free to contact us any time for any events. 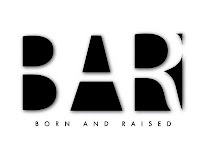 We are most definitely animal lovers and community supporters.” Another perk of BAR, if you are Born and Raised in Las Vegas bring in your birth certificate and receive a 10% off every purchase card. During the luncheon Dr. Caroline O’Sullivan www.holisticvetservices.com who specializes in holistic care for pets was the key note speaker. She spoke about the quality of food and care which are important for our pets. She also specializes in acupuncture and laser therapy. Her talk centered on the alternatives that our available other than prescribing medication. Her biggest message for the rescue community? How do we let people know about these alternatives? 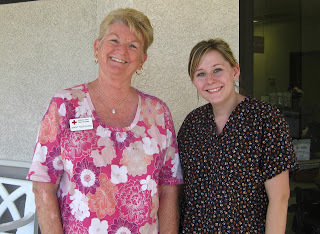 Dr. O’Sullivan recommended that people reach out her with questions and concerns. Colossal Canine Care volunteered that Dr’ O’Sullivan has worked with many of their dogs with massage therapy and Reiki which has made a huge difference in some of the joint, skin problems these dogs face. Bo & DeeMo www.boanddeemo.com at the beginning of the luncheon handed out a questionnaire for the different rescue organization attendees to look over and answer. 1. Holding pet owner’s responsible for their actions. Many pets are abandoned and the rescues end up rescuing and attending to their medical needs. 2. Back Yard Breeders breed irresponsibly and sell their animals through ads. Then when they are done with them they abandon or turn into the rescues. Once again this causes vet bills. 3. The fee that fully funded animal shelters charge for the breed specific or charitable rescues to pick up a dog. A large portion of these dogs are older and have specific health problems, so once again vet bills are wracked up. 4. Make sure that your pet is included in your will or trust. This will insure that they are taken care of for the duration of their life comfortably and safely. 5. Educating the young thru public school speaking. If a child begins to understand that pets are not disposable this will enrich their lives and help with the pet population and care. ARP www.adoptarescuepet.orgmentioned that when trying to find new avenues or trying to find new fosters, look to connect with senior groups. They have the time and love to commit to help foster dogs until they are placed. PETCO www.petco.com has a program for both foundations and fosters and rescuers. Just show your paper work and a coupon book that is filled with different discounts on food and services will be issued. Plus the referring foundation receives points which are redeemable and will provide the monetary, tangible and educational resources that will help them continue to make a difference in the lives of the companion animals in our nation. So please urge your foster parents and adopted families to take advantage of this program. CLAW www.catsinclv.org stepped up and said that any rescue or fosterer that needs help with food all they need to do is contact C.A.T.S., Inc. They have a donated warehouse that can be filled to the brim with pet food. All of the rescues take donations of either monetary means and volunteers or food items and animal needs. If you have any information or questions there is a website that you can utilize www.vegasanimalrescue.com. This website is updated and devoted to the rescue community in Las Vegas! Bo & DeeMo hopes that this was an informational luncheon and it helped to sit down and talk about and share ideas of what each rescue is facing. Everyone left with a bag donated by ARP and it was filled with all of the information from the luncheon attendees. Information on contact numbers, websites, emails and needs were included. Working together we are stronger than working alone. After all whether it is through spay and neutering, fostering or having a sanctuary the principle still stays the same, saving an animals life. We are proposing a LARGE project: One Sanctuary, Many Rescues, and One Location in Las Vegas Valley. A physical address where all volunteers, Vets, Trainers, local businesses, Celebrity, and prospected adopting families can donate time, money, supplies, hold adoptions, get training for their new family members, hold events to benefit the organizations involved, and this model will be much easier to receive funding, grants, donations and is NO KILL! No one can do this alone. People like you are needed to take part using your expertise. If you would like more information, please email us with any questions and all needed contact information. We will also send you an Organization that is doing this very project in the USA. Politicians, Law enforcement and our local animal lovers can all benefit from this, and thankfully welcome the idea with open arms. To go green: All this information will be emailed to those who have a sincere interests in participating, putting in some hard work, being involved on the committee, all take help bring this to a reality. Please be patient, everyone has other jobs and responsibilities and will take some time to get going. Below are some of the contact websites for Rescues in Las Vegas. Feel free to click on and check out their websites and see how you can help! Contact either/both emails for more information or questions on the luncheon.